As a website owner, you need to have accurate information about the performance of your website. 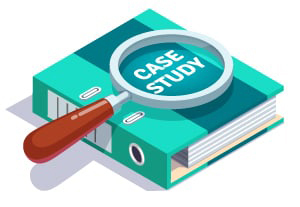 Some of the basic information that you should have at your fingertips include the size of your web traffic, its sources, and the performance over a duration of time. Having these data will help you to come up with the best strategies for reaching more people and beating out your competitors. Sometimes you may also need to track other websites and have a glimpse of how they are doing. To achieve this, you need to use a reliable website traffic tracker. 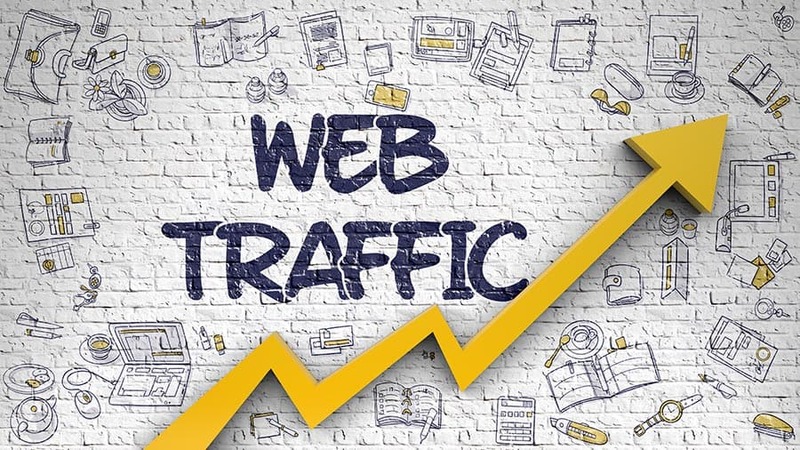 Although most website traffic trackers are not 100% accurate, they can at least give you some relatively accurate information about your website or other sites. With hundreds of traffic trackers out there, which one should you choose? 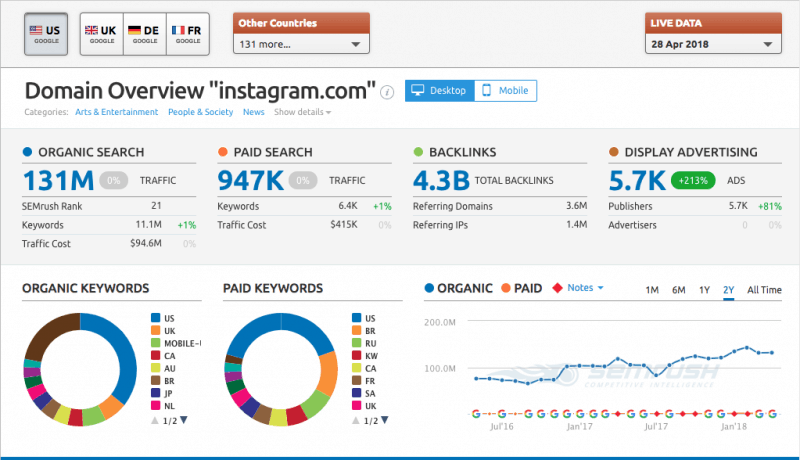 Here are the top 11 website traffic trackers that we recommend. Some of them are free while others will require you to pay some sort of fee. This is a free website traffic tracker that is usually pre-installed by most web hosting service providers. If your server does not have this tracker, you can easily download and install it. Awstats provides information about pages and files that people are visiting. It also gives data about the routes that visitors took before landing on your site. Awstats is a basic tool that can give you key insights on how your site is doing. Google Analytics is one of the most popular and most powerful website analytics tools available to website owners today… and it’s completely FREE! It can give you exact data on how your website is performing in different states, countries, where your traffic is coming from (organic, paid, social, etc. ), and a whole host of other information. Google Analytics requires less technical knowledge than some analytics tools and is well documented online. If you get stuck on setting it up, figuring out what things mean, or the like, all you have to do is search on YouTube or Google for the answer. You can also connect your Google Analytics account with other online marketing tools such as Google Adwords, Google Search Console, YouTube, etc. You can use SimilarWeb to see the traffic that different websites get online. If you want to monitor the performance of a competitor’s website, this tool is highly recommended. It will give you information about the traffic, bounce rate, time on site and more. The free package of this tool can reveal the top 50 websites in each category. If you’re wanting to get the down and dirty on your competition, you’ve got to check out this tool! 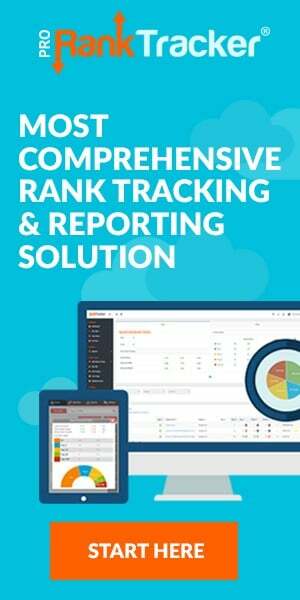 Although the main function of SEMRush is to help you carry out various SEO tracking tasks, you can use it to monitor web traffic as well. The only downside is it won’t give you the exact figures of the traffic. You can use it to estimate the volume of the traffic that your site gets when you use certain keywords. It also shows the websites that are performing well for certain keywords. Enter your URL below to see your website’s traffic over time and other helpful stats! The primary function of SitePrice is to calculate the value of a website and it’s certainly useful if you’re looking to buy an existing website or sell your own. To come up with an estimated value, it analyzes the traffic estimated of the site. The tool also gives other valuable data such as revenue statistics, daily pageviews, unique visitors, and ad revenues. Other essential stats that SitePrice gives include top competitors, visibility on search, domain age and number of backlinks. This website traffic tracker has both a free version and a paid version. The free version is designed for small bloggers while the paid version is for large and complex websites. The tool can track visit durations, referrals and any other function that a normal web traffic tracker is expected to perform. This website traffic tracker is available in different packages depending on the nature of the user. There is a package for an individual user, another one for marketers and the last package is for business owners. Individual users and marketers can use their package to monitor the performance of different websites. 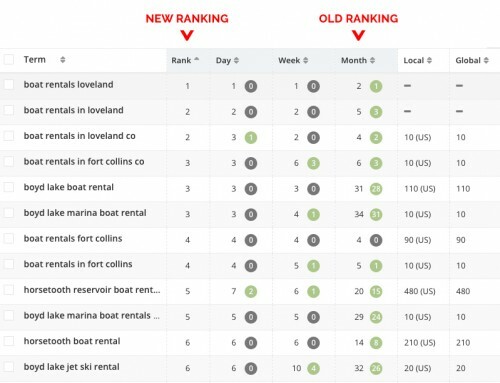 Business owners can use this data to track the sales that are made through the website. Quantcast website traffic tracker has a reputation for providing some of the most accurate traffic estimates. It’s a reliable website traffic tracker with data you can rely on to make critical decisions and it’s FREE! Quantcast is able to break down your web traffic based on demographic factors such as geographical region, ethnicity, occupation, political affiliations and shopping interests. It uses AI technology to help you identify your ideal customer, understand your audience, and such much other cool stuff! Webalizer is another web traffic tracker that most web hosting companies pre-install on their servers. It is relatively fast and this is why it is a preferred choice for website owners who are hosting their own website. Although the tool doesn’t reveal too many details about the performance of your site, it gives a satisfactory overview that you can use to measure your performance. eLogic is 100% focused on solutions for manufacturers. So, it won’t work for every industry but they do offer different packages and your choice will depend on the statistics that you need to analyze. If you want to analyze the stats of a single page, you will choose a package which gives very basic information. Alternatively, you can choose the Webstats BASIC package which gives more details about the website. Some of the data that it gives include referring websites, demographics, history and much more. If you are managing a large website such as a business site, you may subscribe to the Webstats PRO package. It gives lots of details and has more analytics tools than the other packages. 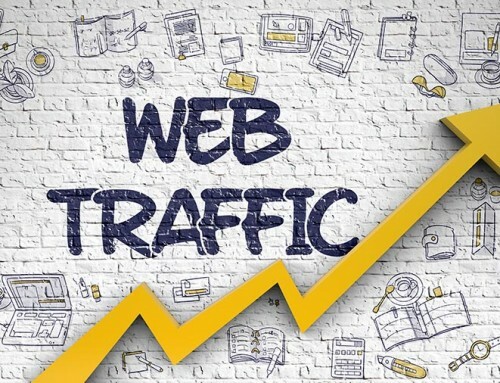 Traffic Estimate website traffic tracker is a simple web traffic tool that gives a graphical representation of the performance of your website over a particular period. From the graph, you can study the patterns of the traffic during that period and factors that influenced the change of these patterns. Which Website Traffic Tracker Is The Best? Well, it really depends on what you’re wanting to do and how technical you want to get. There are lots of simple tools where you can just put your URL in and get instant traffic info if you want to keep things basic. If you’re looking to get a bit more advanced, you can install tracking tools like Google Analytics and Quantcast to get highly specific information. Now that you have an overview of each tool, it’s your choice which one(s) you want to use. If you’re having issues setting any of these up for your business, don’t hesitate to reach out. We can help! Just submit your inquiry here.